The teenager of 14 years who makes a living singing in the carriages of trains that cross the Federal Capital and Buenos Aires province. "This is very small, is what I like. I started at age 4, not no one taught me, is pure vocation", said Huey, who became known in the media when it was discovered by the production of the programme"Passion of Saturday", of the channel America. With a small audio player with microphone, comes out in the afternoon, and up to 22 or 23 makes a living singing to help her grandmother and brothers. "My mother died when I was 9 years old. I have my grandmother and my three brothers. It was the death of my mom very hard, but should go ahead,"he said. On the other hand, Huey told the first time he sang in public "was shameful", but then got used. "Now I'm re cheeky, me re gusta la musica", said. With regard to what causes you to be on television, the teenager said: "I feel emotion and passion, and increasingly have to make more progress. I'm going to singing lessons to better vocalize". Furthermore, Huey was that it is preparing a new issue that has to do with the history of his mother. 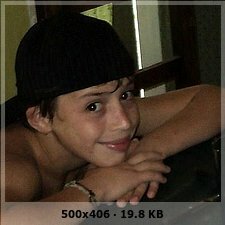 Это такая шутка: "Jorgito El Justin Bieber Argentino" ? Или как это понимать ? Свой Аргентинский Джастин Бибер, не? Т.е. перед вами в чистом виде прямо перед глазами разворачивается тот же сценарий, что и с Бибером. Только у аргентинского парнишки, которого зовут Jorgito de la gente, т.е. "Хорхито из народа", история жизненная куда более печальная: он живет с бабушкой и тремя младшими братьями, мама у него умерла, когда ему было 9 лет, петь на улицах он начал, чтобы помочь бабушке. сейчас на ЮТубе навалом уже самых разных видео. Удивительная история ! Действительно – «Аргентинский Джастин Бибер». Замечательно, что в жизни бывают такие истории. Мне это напоминает сказку «Золушка».